This is a must for those who appreciate scented gardens. A small evergreen shrub with summer to autumn flowering tubular cream flowers that open at night. The perfume is the most sophisticated I have ever smelt. It lies somewhere between Tuberose and Gardenia, but with deeper, spicier notes. We had this shrub in a pot and brought it inside every evening. 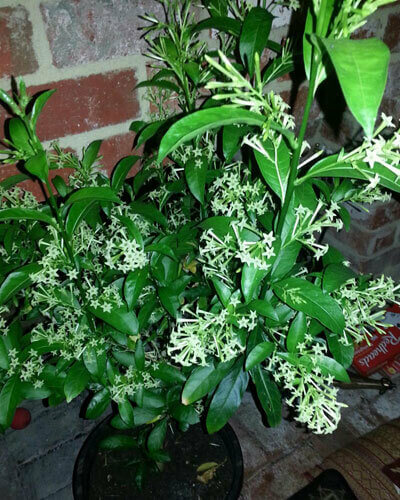 It filled the whole living room with its gorgeous scent, and all who smelt it, ordered one. I can't speak more highly about it. It would be divine outside ones bedroom window. Full sun to part shade. Protect from frost.